Scout Eighty-Six has landed. Scout Eighty-Six is awaiting evac. There is no evac. 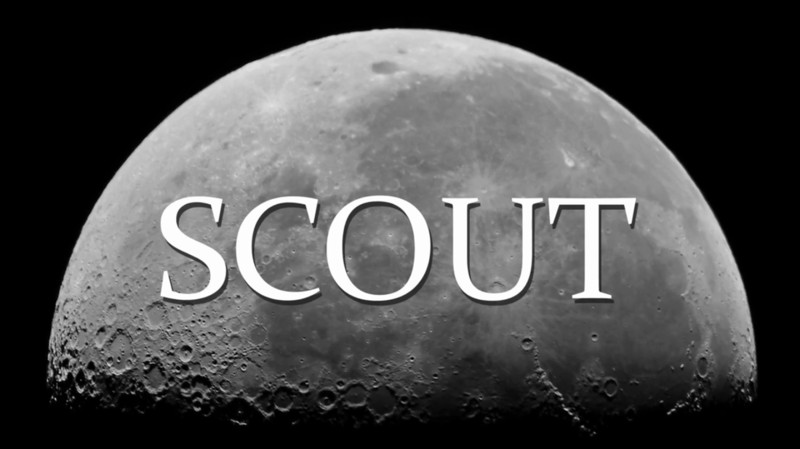 Scout is a science fiction short from Wingless Films, created and directed by Jim Elton. It stars Tom Menary as Scout Eighty-Six, who explores an uninhabited world on behalf of his commanding officer after crash-landing his vessel. It was shot in and around the Lee Moor area of Dartmoor. Filming took place in the Lee Moor area of Dartmoor on 4th July 2011, and the finished film was released six days later. Scout was nominated in the 2012 Limelight Film Awards in the Best Sci-Fi category, although lost out to Jouet. It was given a page on IMDb on 14th December, 2012. Test footage of the alien dialogue, performed by Tom Menary, was released on his YouTube channel along with a full translation of the fictional Apneok language. The language was based partly in Hebrew and Armenian phrases. "Merzhel" comes from the Armenian for "scout"; "Togh" means "watcher"; and the name of the planet (Kyen'i tak) is derived from the Armenian phrase "yerknk'i tak", meaning "under sky". "Nepesh", one of the scout's lines, is the Greek for "breath of life", and translates as "breathable" when talking about the planet's atmosphere. The scout's final line, "Ke dut getmek na'brel", translates as "I don't want to go", a reference to the Tenth Doctor's last words from the Doctor Who episode, The End of Time, Part 2. The scout's designation, "Eighty-Six", is a reference to Tom's year of birth. The film's original score was composed by Tom Menary. It features various permutations of the Theme from Scout, which was first heard as part of an (otherwise unrelated) track called "Stuck", released as part of Notes So Far I: The Journeyman.